Omar Effendi recently built a new policy to increase its sales volume and generate financial income to solve the crises it faces. 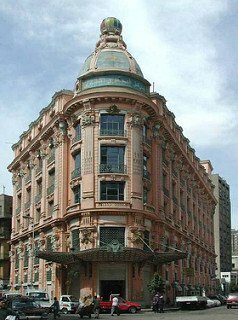 Established in 1856 in Abdulaziz Street in Cairo under the name of "Orozdi Pak", the company was suffering from major losses and crises such as the workers' wage crisis, despite the fact that the number of workers decreased significantly after the privatization experiment that negatively affected the company. This called on the company's board of directors to consider unconventional solutions to get out of these crises. Among these solutions are installment payment systems for individuals, companies and companies to activate the sales process at the branches of the company. The company has succeeded in achieving an increase in sales by 15%, after it has made the installment system less than 5% of the applicable installment systems in private trading companies. The company has also followed various installment systems with a payment period of 36 months, In an attempt to attract buyers and restore confidence to the consumer in dealing with them, as well as competition in the market in various ways to try to establish an entity of the company, according to the company's board of directors. Not only that, but the company is working to activate the system of installment by Visa, the end of February next, after the completion of procedures with the National Bank. As a result of the company's desire to put itself on the right path and adopt advanced sales policies, the company achieved sales of LE105 million, with a plan to increase sales to 250 million pounds on June 30. On the other hand, the company is looking to invest in real estate, in order to achieve liquidity to enable it to develop its branches and overcome its losses. The main branch only needs "branch of Abdulaziz" to 8 million pounds for development. However, it appears that Omar Effendi Company is in a state of activity recently. The company's management confirmed that the losses this year may not exceed 50 million pounds, thus decreasing from last year, which recorded 67 million pounds, and the year before the past, which recorded 76 million fairy. For his part, Major General Ayman Salem, Chairman of the Board of Directors of Omar Effendi, the settlement of a large part of the debts, and the continuation of negotiations on the settlement of the rest, to ease the debts on the company.